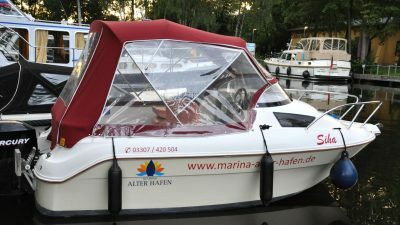 Discover the picturesque lake district with one of our boats (not license-free). You can rent them by the hour or day. 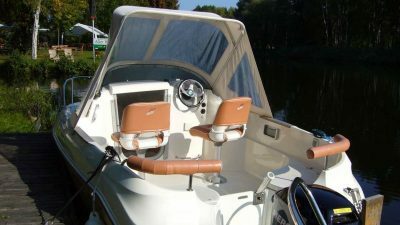 The boats are easy to operate and offer space for up to 5 persons. 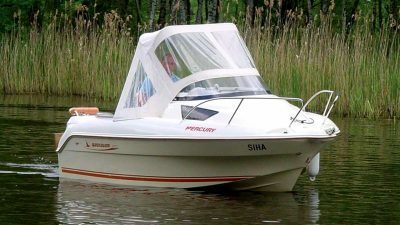 Equipped with tarpaulin and a small cabin with 2 sleeping places they invite you to take longer trips. Take a trip to the surrounding towns, all of which can be reached by boat. All prices are in euros and inclusive of VAT. Have you steered a yacht before?